Probanx is proud to announce the availability of a Mobile Teller Banking solution based on a customised POS (point of sale device) working on any GSM mobile phone network. This new Mobile Teller Banking will revolutionize the microfinance banking sector by enabling the banks to reach many more clients in the cities as well as in remote areas and facilitate banking transactions at a low cost. The EFTPOS (Electronic Fund Transfer Point of Sale) unit is a robust model already used at shops for international credit cards transactions. It includes a large screen, an ergonomic keyboard, a printer, and a card reader. It communicates with the host server via wireless networks. The Mobile Teller module is fully integrated with the CorePlus system and workflows. Thanks to this integration, numerous reports and statements are providing the synthesis and details that allow the bank to follow-up and control the transactions in real-time at all levels. The Mobile Teller Banking based on the “CorePlus POS Gateway”, a Web Services system to interconnect an EFTPOS to the core banking system. The POS Gateway is already used by a CorePlus client in Australia. 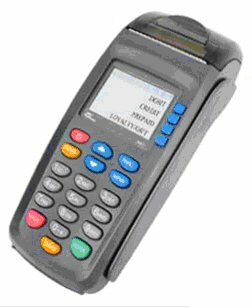 The POS Gateway is already in used at a CorePlus site in Australia and is under implementation in Nigeria.